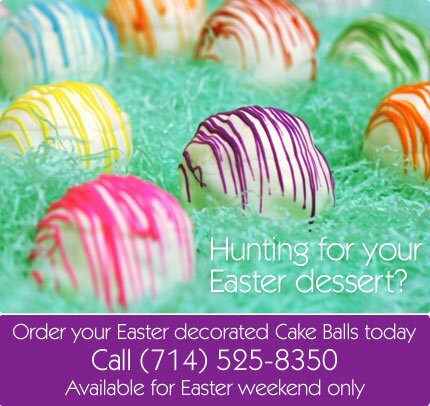 Decorated in fun colors is what makes these Cake Balls the perfect Easter dessert. Place your order today. Available Friday April 6th and Saturday April 7th only. Pre-orders are highly recommended. A limited selection will be available for walk-in customers.